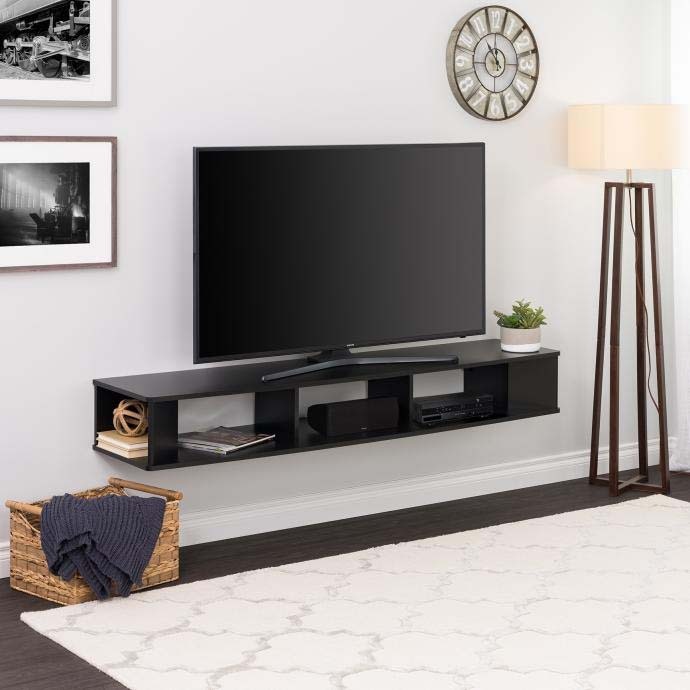 The Prepac Wall Mounted TV Stand saves space and has a modern look, making it the perfect fit for any entertainment space. The large 70 inch wide console provides more than enough space for all your media accessories. The three compartments are perfect for storing gaming consoles, cable boxes and accessories, while the two shelves on each side can be used to store games and DVDs. Each compartment includes cut-outs to keep wires neatly concealed and provides ventilation for media consoles. You can place your TV directly on top of the TV stand and eliminate the need for a separate wall-mount for the TV. 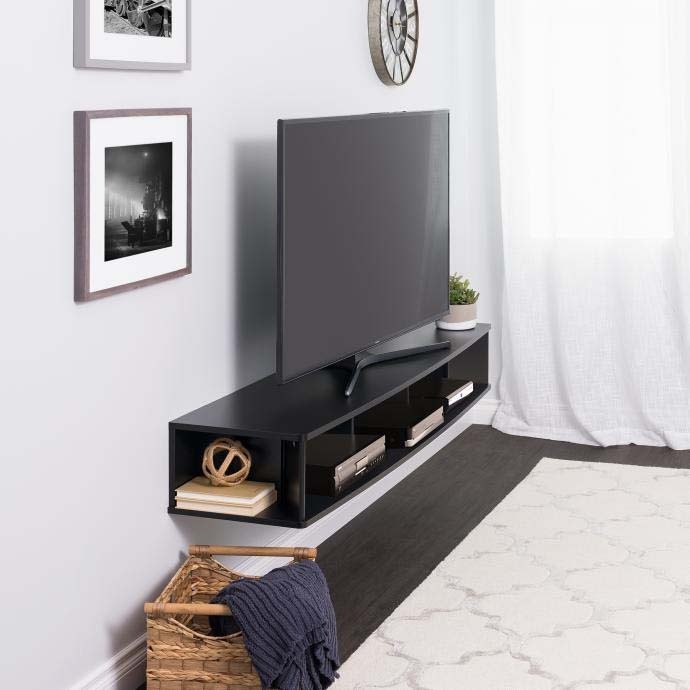 The wall mounted TV stand can accommodate TVs up to 75 inches and mounts directly on the wall with Prepacs innovative metal rail hanging system, leaving valuable floor space free for other essentials. 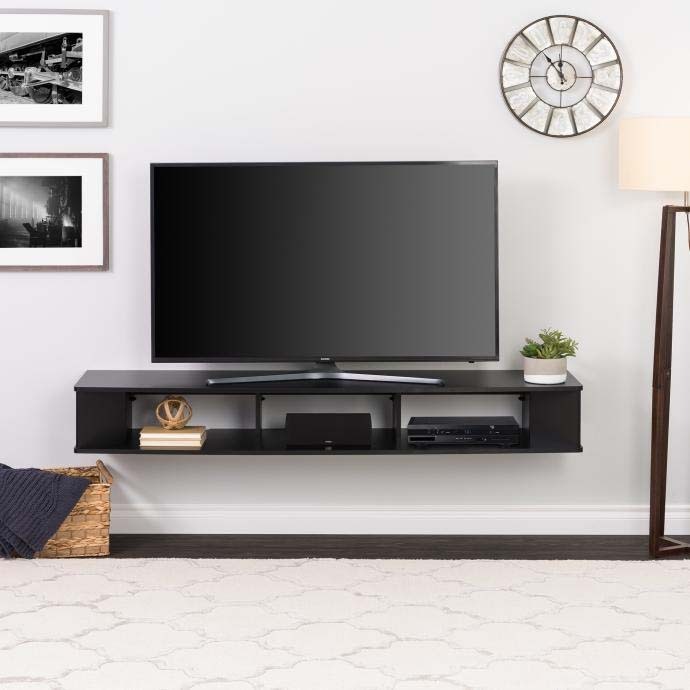 The soft corners on the wall mounted TV stand add to the modern design, and leave any entertainment space looking clean and stylish. Console mounts easily to wall at any height with the innovative hanging rail system.